My little boy drew this for school. Probably something only a mother could love - and I DO! I don't actually have it yet. I took a pic of it hanging on the wall at school. 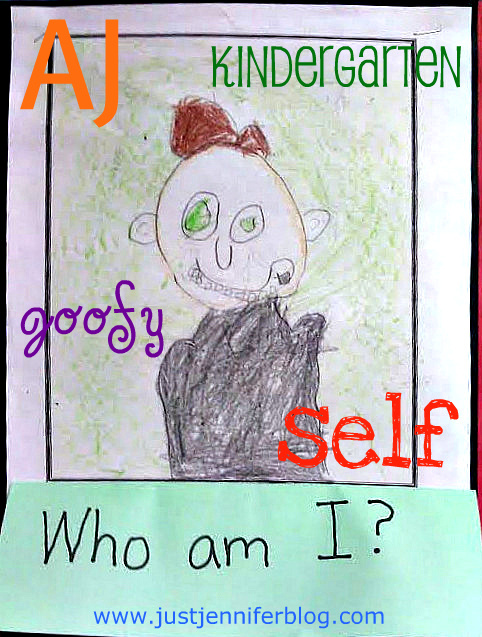 Aw, I love self-portraits at that age! Oh, yay! I so love kid artwork! I have a special box where I keep all the real art gems from my children. I write on the back who did it, the year and age/grade. I love kid drawings. Funny that he took the time to draw so many teeth! Guess he's proud of them?